To be fair, if you don’t know or understand the data center architecture strategy called micro-segmentation, you aren’t a “dummy.” But it could mean you are missing a highly cost-effective opportunity to implement best-in-class data center security called the “Zero Trust” network. 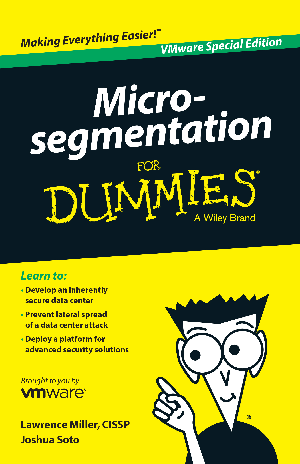 This special “For Dummies” edition explains micro-segmentation, how it enables Zero Trust, and why it is now within your organization’s reach. Download your free copy of this book now.